Baby Cortex Presents: Christmas Edutainment Applications! 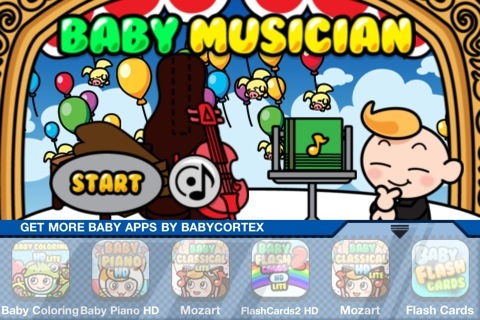 This Christmas, Baby Cortex has prepared a perfect gift for you and your kids! 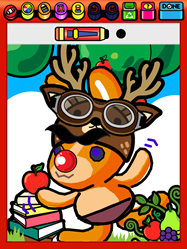 Download our Christmas-themed Edutainment Applications and enjoy this holiday seasons with fun and creativity! 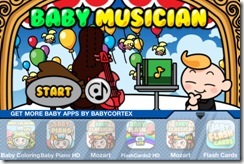 Three of the most popular applications of Baby Cortex received a holiday update. Baby Photos: This app allows you to tinker with photos adding attractive stamps and frames and then share them via Facebook or email. 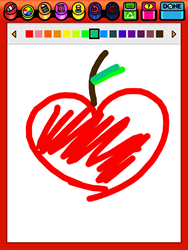 It allows you to add text in different fonts and colours and provides a freehand drawing option. Baby Flash Cards / Baby Flash Cards 2 / Baby Flash Cards 2 HD are organized into categories – animals, objects, food, numbers, shapes, colors etc – so that kids can learn groups of words through colorful and engaging interface. 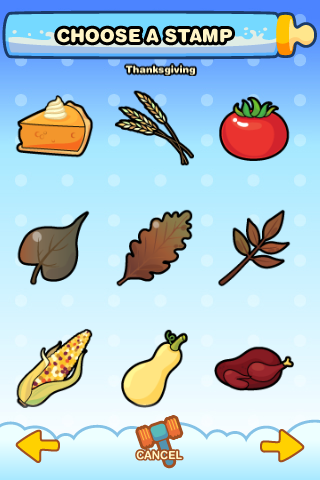 Version 2 allows you to edit the cards from English into any language you want and record your own voice to each card. 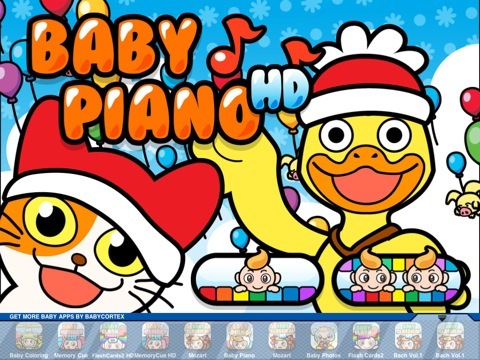 Baby Piano / Baby Piano HD: A colourful piano with cute animated animal characters to get kids interested in early music learning and exploration. 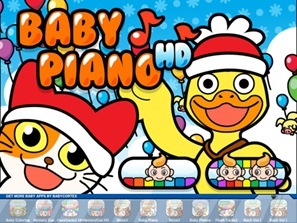 The HD version is specially designed for kids to play on the iPad and introduces a 2-player mode enabling parents to play side-by-side with their kids so that they can learn to play songs by copying. Download our Christmas Edition now! 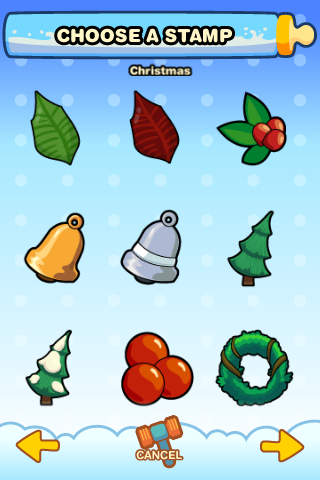 If you have already purchased these applications, don’t forget to update them in order to install the Christmas versions. New Edutainment Application – Baby Musician! 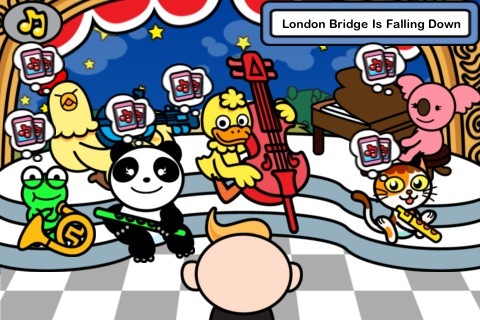 Baby Musician allows your child to play as the conductor of an ensemble of cute animal musicians. 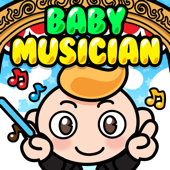 Clicking on the musician’s flash card will show your child the instrument’s name and how it is spelled. The cute musical melodies, colorful graphics and engaging interactive gameplay will encourage the development of your child’s appreciation for music and give them a better understanding on musical instruments and how they sound. P.S. Lite version offers one tune and three musical instruments. 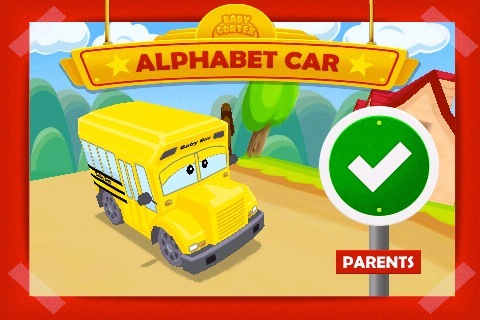 Baby Cortex Introduces Alphabet Car! To reinforce the words learned through other visual cues, Alphabet Car can be used in conjunction with Baby Flash Cards. 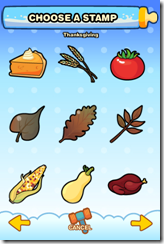 Baby Flash Cards is a widely popular app on iTunes with more than 500,000 downloads to date. 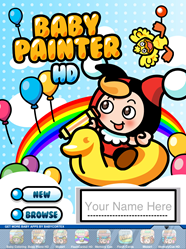 Baby Cortex Introduces Baby Painter HD ! 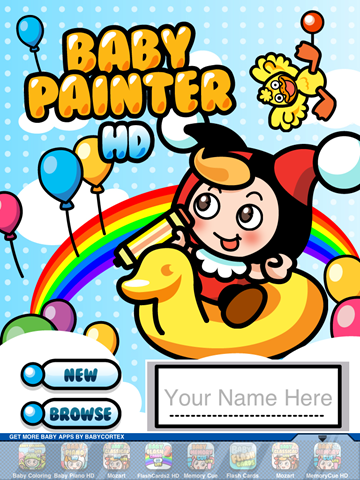 Baby Painter HD is now available for your iPad! Baby Painter HD allows your child to use your iOS device as a digital painting canvas. Its simple and intuitive interface is sure to provide you and your child hours of fun! Choose from a wide variety of backgrounds and clip-arts to help encourage and develop your child’s creativity. Baby Photos Version 1.4 Now Available for your iPhone! 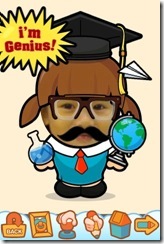 Tinker with your photos using cute stamps and frames with the Baby Photos iPhone app! You can also share the pictures that you’ve made with this cool tool via Facebook and/or email if you wish to do so! 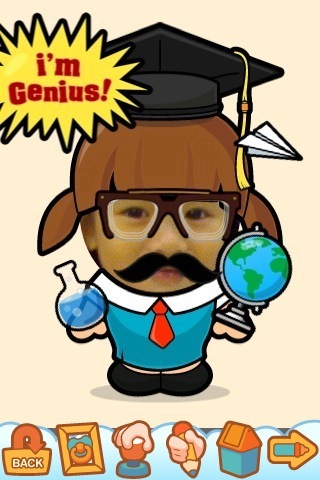 This app is ideal for anyone who loves to add cutesy stuff to their photos. Whether you’re a professional web artist or a fledging greenhorn designer, designing pictures with the Baby Photos iPhone app will definitely leave an “aww” expression to the people who’ll see your creatively-done works of art!